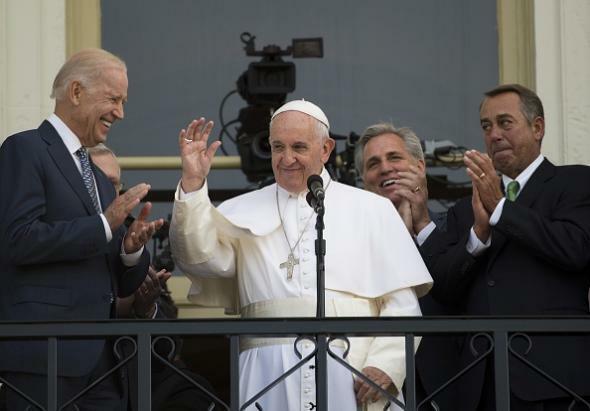 Pope Francis' blessing for crowd outside Congress: Video. Thursday at the U.S. Capitol. I am grateful for your welcome and your presence. I thank the most important people who are here: the children. I want to ask god to bless you. Lord, our father of all, bless these people. Bless each and every one of them. Bless their families. Give them what they need the most. And I ask you all, please, to pray for me. And if amongst you there are some who don’t believe, or can’t pray, I ask you please, to wish good things for me.